The Kooskia Internment Camp, a unique, virtually forgotten, World War II detention and road building facility, was located on wild and scenic Lochsa River in north central Idaho. 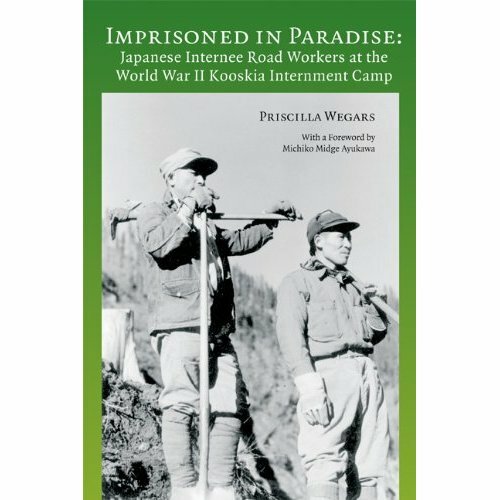 Between mid-1943 and mid-1945 the Kooskia camp held an all-male contingent of some 265 so-called "enemy aliens" of Japanese ancestry. Two alien internee doctors, an Italian and later a German, provided medical services; 25 Caucasian employees included several women; and a Japanese American man censored the mail. Despite having committed no crimes, but suspected of potential sabotage, these noncitizen U.S. residents of Japanese descent had been interned elsewhere in the U.S. following Japan's attack on Pearl Harbor. They volunteeredd for transfer to the Kooskia Internment Camp and received wages for helping construct the Lewis-Clark Highway, now Highway 12. Knowledge of their rights under the 1929 Geneva Convention empowered teh Kooskia internees to successfully challenge administrative mistreatment, thereby regaining much of the self-respect they had lost by being so unjustly interned. Here, finally, is their story.